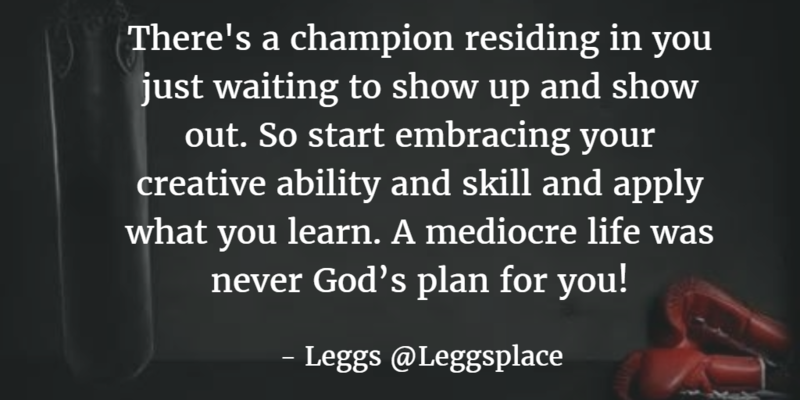 There’s a champion residing in you just waiting to show up and show out. So start embracing your creative ability and skill and apply what you learn. A mediocre life was never God’s plan for you!